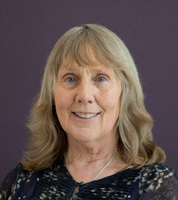 After graduating from the University of Melbourne, Dr Parsons worked as a General Practitioner for 35 years, including 25 years in her own medical practice in Fremantle, WA. Sandra has practiced Integrative Medicine for the last 20 years. As of 2018, Dr Sandra Parsons consults Tuesday to Friday, for details on appointment availability and the schedule of fees please contact the NIIM Clinic Reception on (03) 9804 0646. Medicare rebates apply.